A woman seeking true love is blindsided by divorce, then must survive and thrive in her new hometown. Currently, a three-book series with three more potential books at a later date. First two books published, third expected to be published late 2018. Diana MacKenzie seems to have everything going for her – love and marriage and a globe-trotting career – only to be beset by the economy, divorce and the challenges of trying to make it on her own in a new town – Las Vegas. It’s a story about life that many a woman – and man – can identify with. Diana’s move from Silicon Valley to Las Vegas is wrought with troubles. After her business then her marriage fail, she is left struggling to survive. 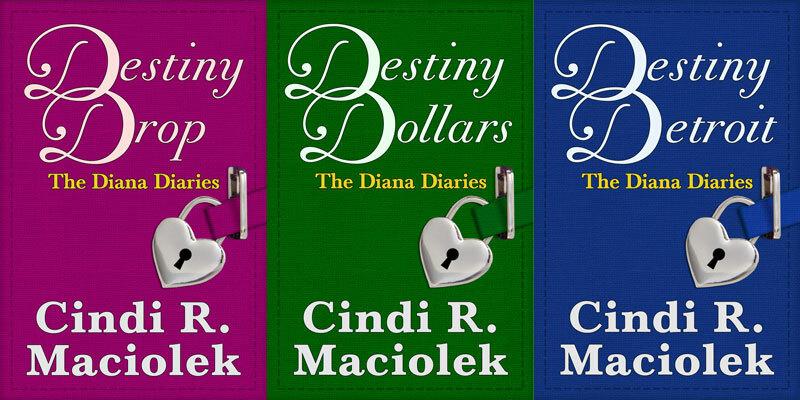 Desperate for income, Diana turns to the only industry in town that will hire her – retail. She loves to shop so she feels this will be her perfect new career. However, as an employee, Diana is exposed to the good, the bad and the ugly of her new field. Faced with the drama of co-workers and disrespectful customers, having to live on a tight budget, plus her new-found aches and pains, her retail job is often more than she can bear. Still, Diana toughs it out, determined to forge a new life for herself in the city she’s grown to love. Still reeling from her unexpected divorce and significant loss of income in a down economy, Diana MacKenzie is desperate to finally settle into a new career that will make her heart sing for years to come. Unfortunately, her resumé now lists numerous retail jobs in Las Vegas instead of the high-powered marketing consulting she did in Silicon Valley. Determined to find her true calling, Diana also dips her toes into teaching, until suddenly she’s blessed with a financial windfall that changes the course of her life. Life is great – well, better than being broke – but Diana soon discovers being wealthy is not without its own set of problems. Yet, she slowly adjusts to the ups and downs of being suddenly rich. As Diana utilizes her windfall to help others create successful businesses – the heart of her passion – the one thing missing from her life is true love. New friendships and family can’t fill the void of connecting with her soulmate. When Diana’s best friend, Gizzi, gets married, Diana begins to dream, once again, of finding the man who is perfect for her. Amidst a sea of Silicon Valley elite, guests at Gizzi’s wedding, Diana is approached by a familiar male voice. Is this finally Mr. Right?